Looked up Stockton and asparagus, wow looks like a lot goes on with an asparagus theme during that time. 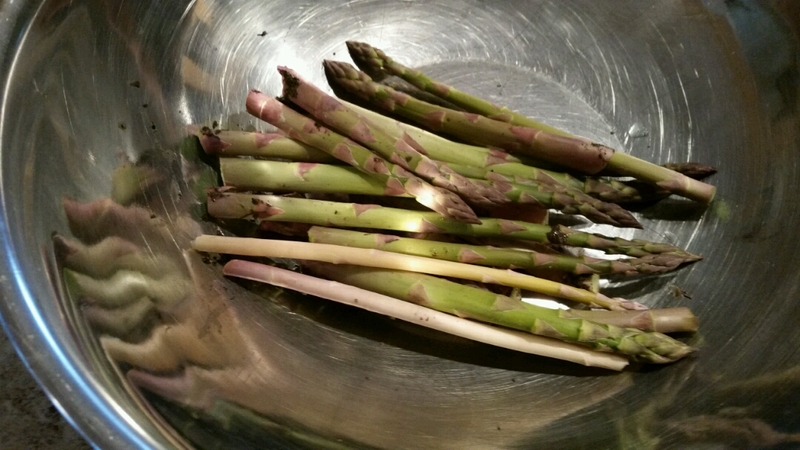 I really love to eat it and it's a real treat, short season veggie here. Maybe I'll get full this year since it started so early. We do have a lot of thunderstorms and this one wasn't by far the worst. My kids say the dog is as neurotic as I am and that's why shes scared, but I'm not afraid of thunderstorms, instead I enjoy them. She's scared of a lot of things. I blame it on a bad early childhood. we found her hiding under our porch and adopted her. We sure do celebrate it here! We even have asparagus ice cream! Aw, your poor little one. I wish we could talk to them for just five minutes a day and they us.